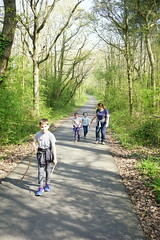 I left my last post with me and the kids leaving Newcastle after a fabulous 24 hour visit, bound for Edinburgh. 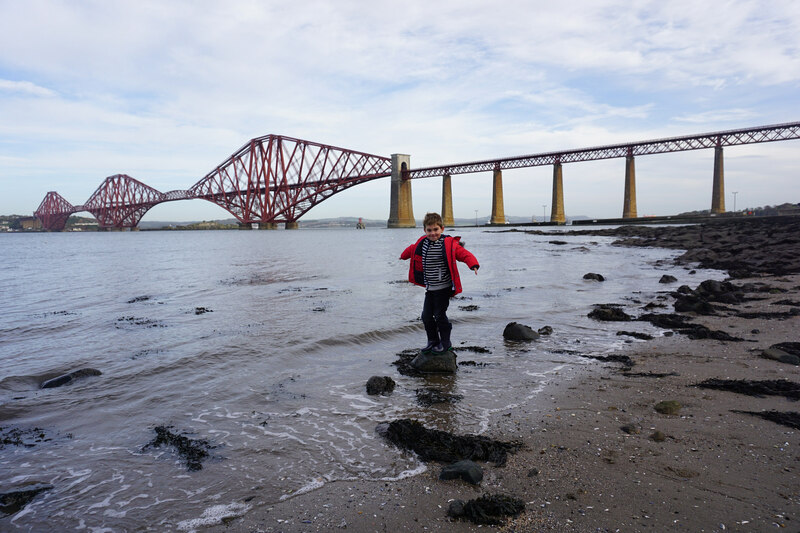 We thoroughly enjoyed the train journey along the stunning Northumberland coast – it’s amazing how close you get to the beaches and such a treat to see places like Lindisfarne from the train. 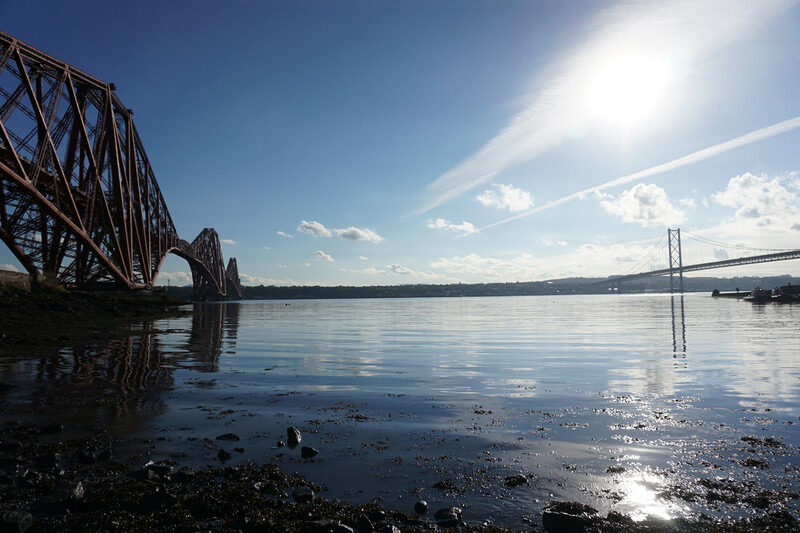 In no time at all, we were pulling into Waverley station in Edinburgh and quickly emerged into one of my favourite cities in the world. For a special treat on our little mini-break, I’d booked us a night in a hotel in the centre of the city, so we quickly dropped off our bags and headed up to the Old Town. 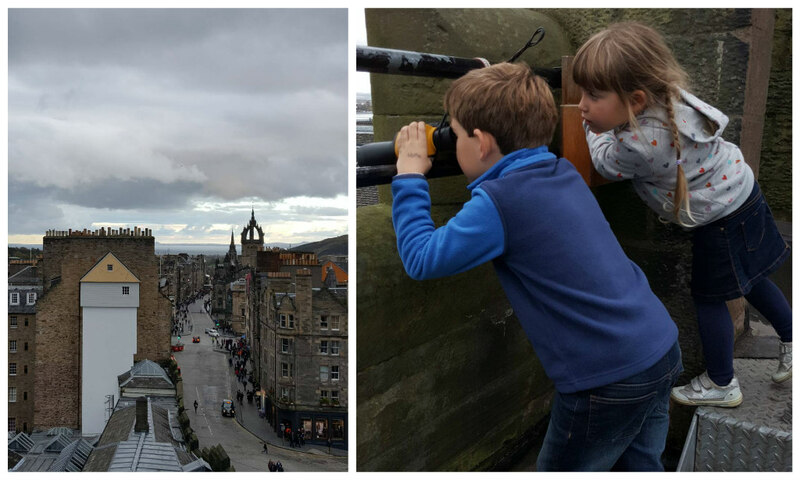 We meandered our way through Princes Street Gardens, the children choosing the route up towards the castle. 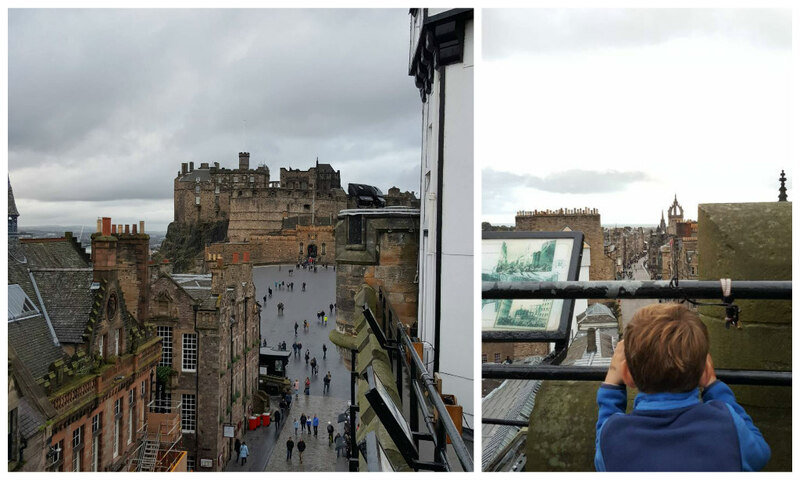 We emerged on The Mound, and after a quick break for cake and a drink to renew our energy, we climbed up through the old lanes and staircases to the Royal Mile. 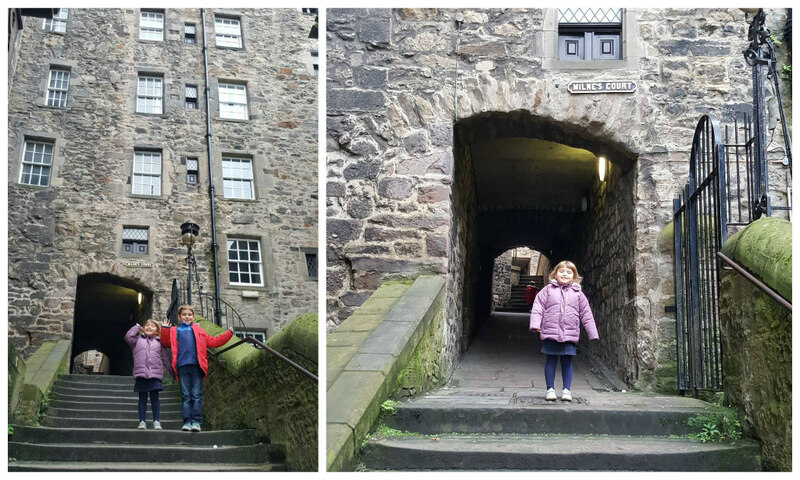 I love the tiny “closes” in the Old Town of Edinburgh, it’s easy to imagine the passageways hundreds of years ago. And in the mirror maze where we had to wear gloves to explore the disorienting route! Such fun! Love these photos of Alex and Sophie being served for dinner! And as if keeping tabs on my pair in the dark exhibits wasn’t challenging enough, we multiplied ourselves! 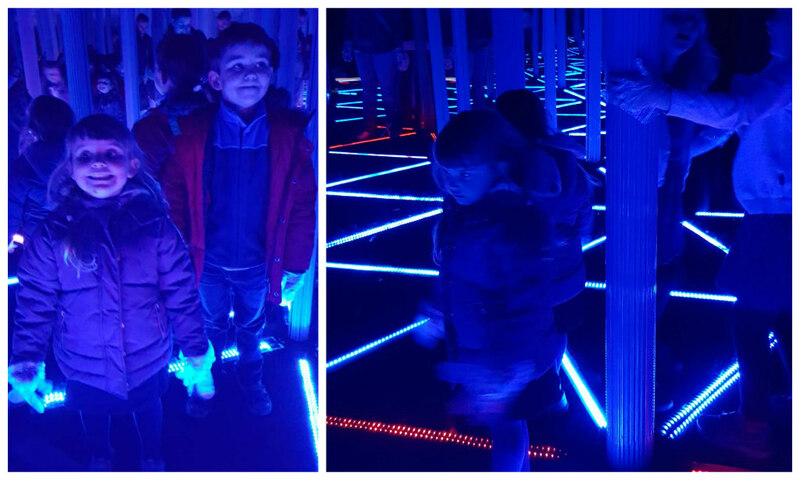 They absolutely loved the World of Illusions – there was so much hands on fun for them. Even if they didn’t understand the science, they were able to explore so much and ask so many questions. 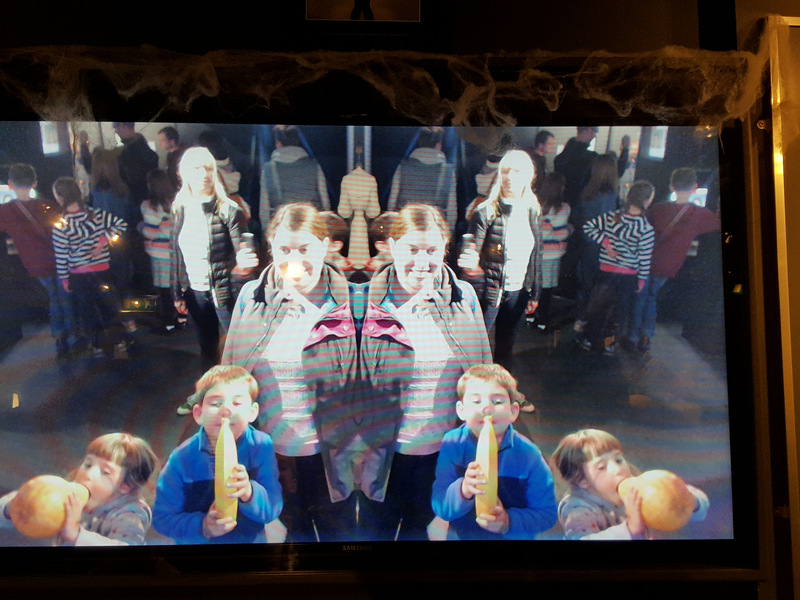 And I learned loads too – it was fascinating seeing historical optical illusions. 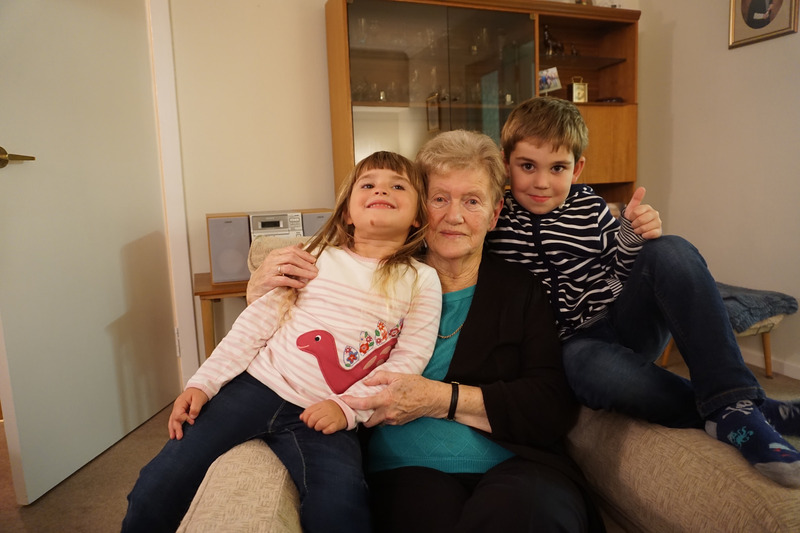 We had such a lovely time together – the children behaved so beautifully for me. How grown up are they looking here? As the sun was setting, we had a look at the actual Camera Obscura: a Victorian installation where a mirror, lenses and daylight enable the city panorama to be projected onto a viewing table in front of you. It’s hard to explain, but you can watch people and cars moving around, and pick them up on little pieces of paper! It was close to dark when we had our little tour, so it was hard to see much detail, but it was still really interesting to watch and completely fascinating for the little ones! 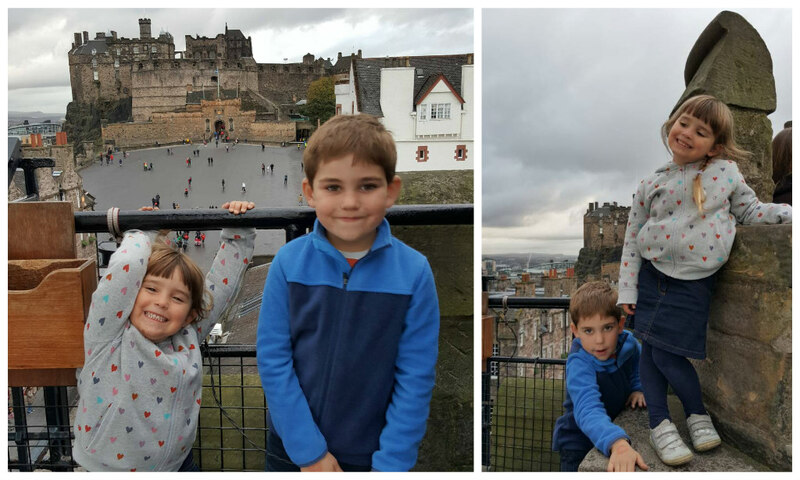 By the time we emerged back onto the Royal Mile, it was dark – so we slowly walked back to our hotel in the New Town and enjoyed a family dinner in TGI Fridays. 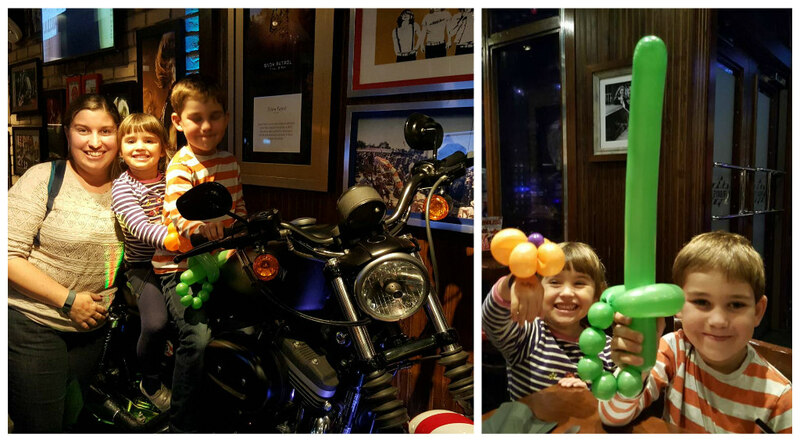 I’ve not been there for years and years, and the kids were delighted with the menu, the balloons they were given and the chance to ride on a Harley Davidson! Then it was back to our hotel for the night. 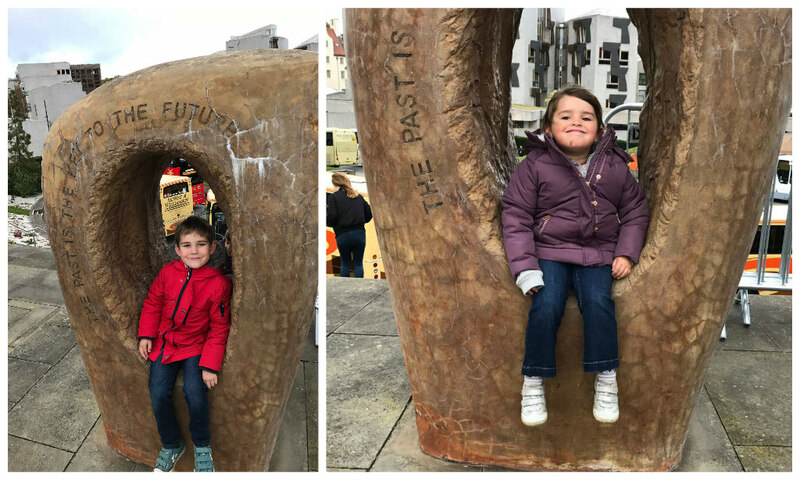 With my family living so close to Edinburgh, we almost always stay out of town with or near them – so it was an unusual treat to stay right in the centre of the city. 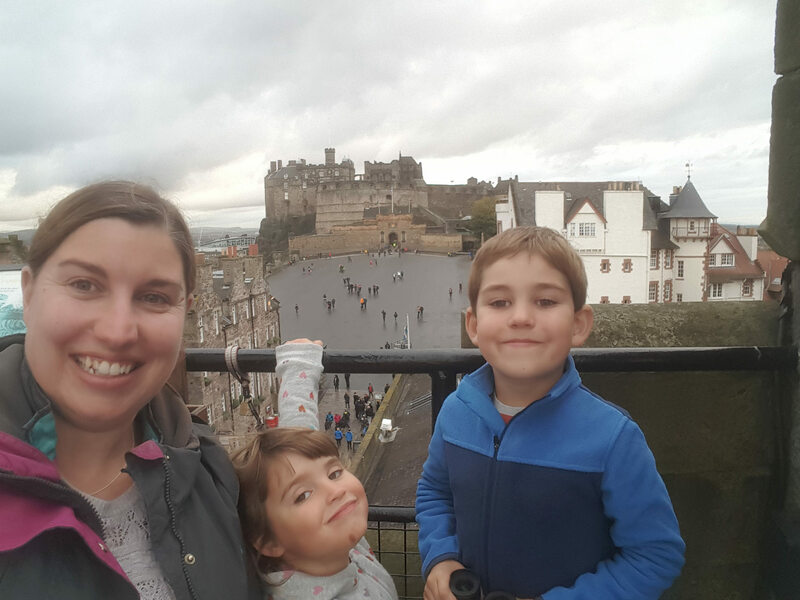 We’d booked into the Castle View Guest House right off Princes Street where the children and I had a huge family room with two double beds and a single – perfect for us! It was comfortable and cosy, if a little bit noisy on the street – but we didn’t mind for one night. And the view in the morning was worth it! This was the glorious view from the breakfast room! I’d definitely stay there again. 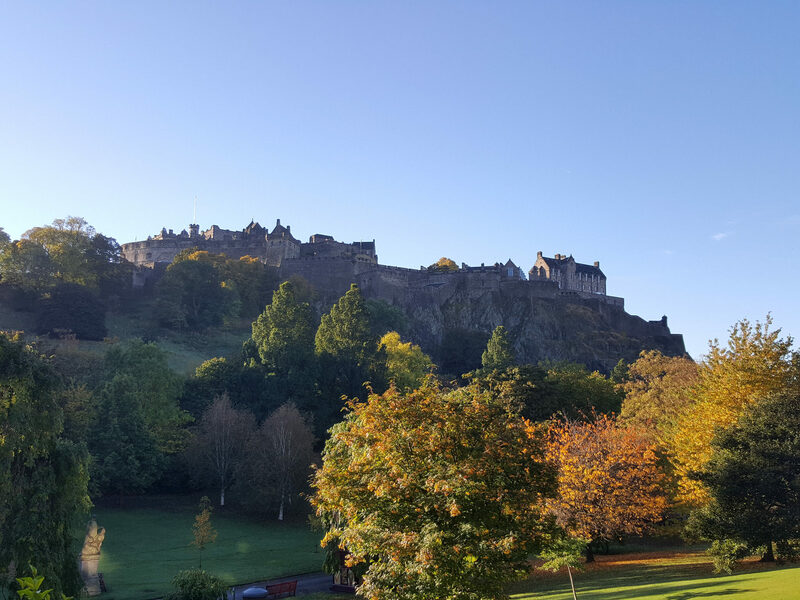 We left our bags at the hotel, and headed back to the gardens – it was a clear, sunny day and the castle looked stunning surrounded by blue skies and Autumn colours. 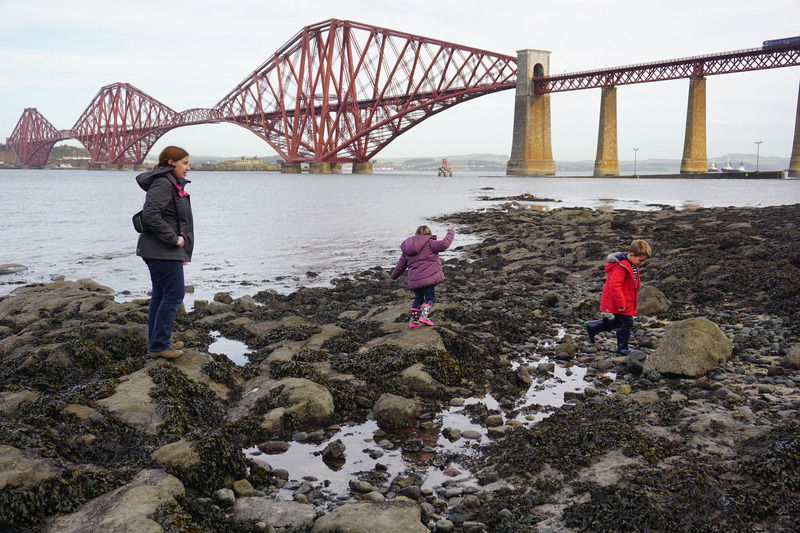 And, of course, throwing stones! 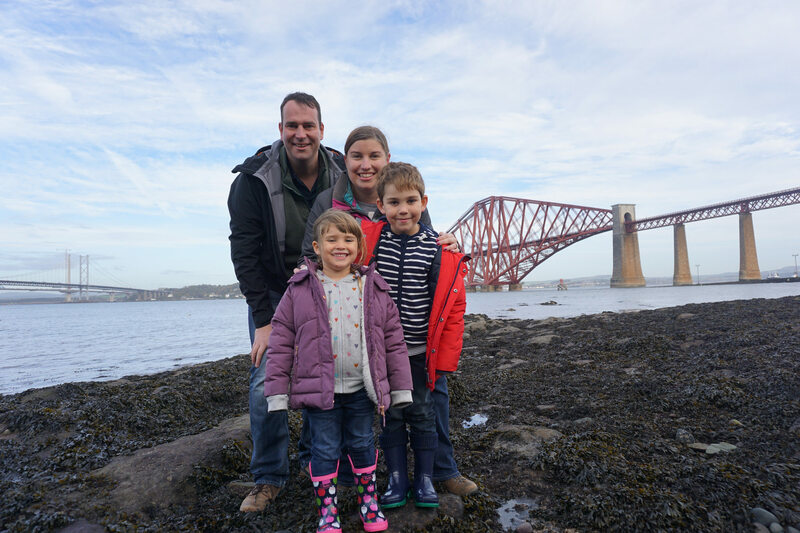 We’d popped over to North Queensferry to visit Deep Sea World – a great little aquarium with the longest underwater tunnel in the UK. 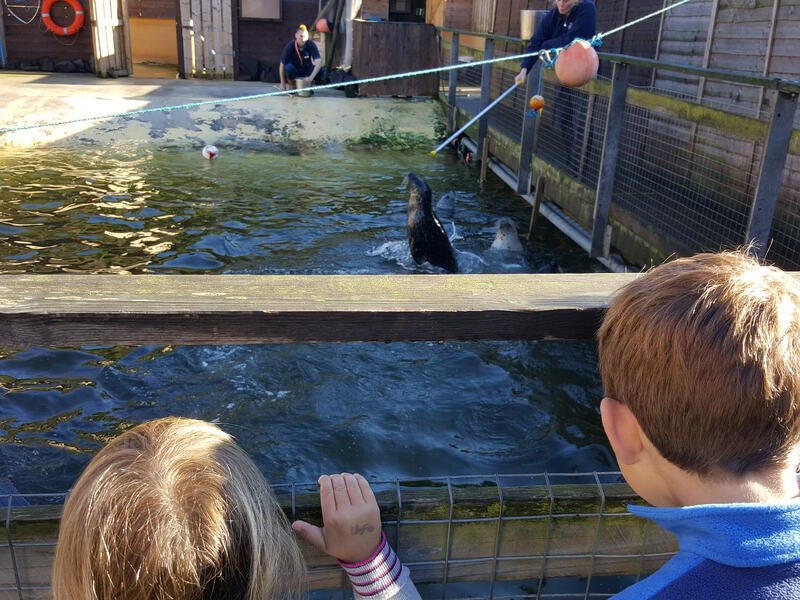 We arrived just in time to see the seals being fed and enjoyed watching them do tricks to get extra treats! 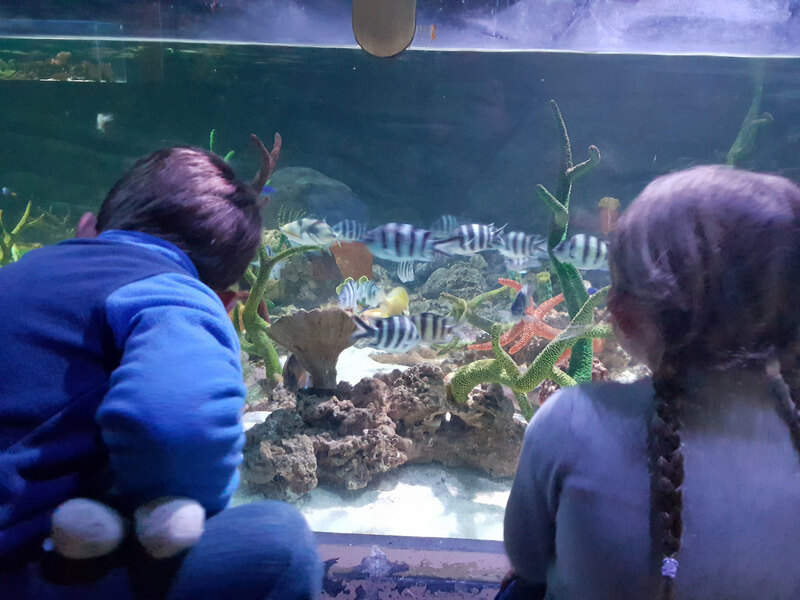 We saw sharks, rays, piranhas, clownfish, star fish and so much more ! We were sad to leave the aquarium, but enjoyed the train ride back into the city and then the bus out to my Auntie Margaret’s house where we were staying for the rest of the week. After a day looking at creatures under the sea, we spent the next day looking at animals on dry land at the brilliant Edinburgh Zoo. 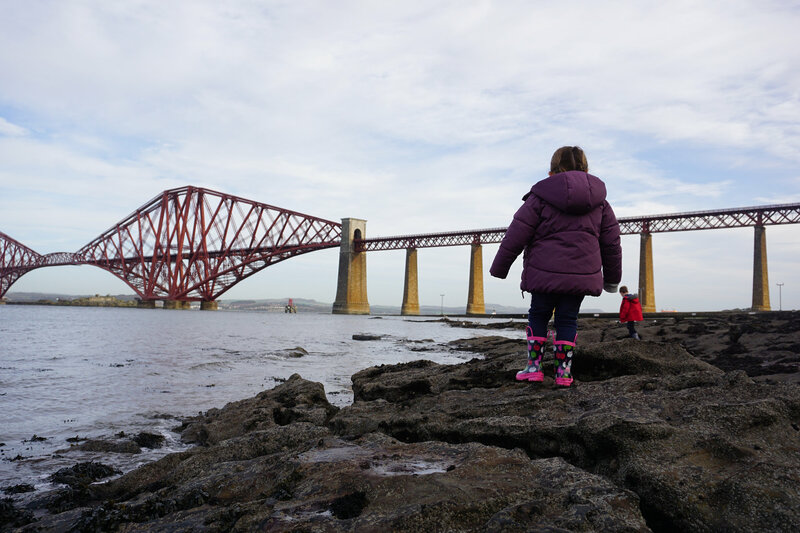 It was Sophie’s 4th birthday and so she chose the day trip! So it was off to visit the pandas! 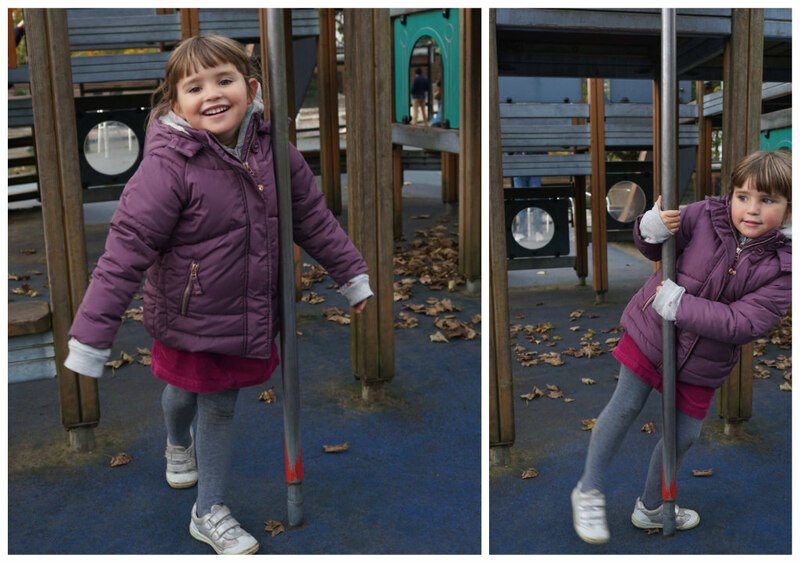 Here’s my four year old happy to be in one of the many zoo playgrounds! It was pretty cold and windy, but we still managed to get all over the zoo and to meet the animals who weren’t snuggled up in their indoor houses! 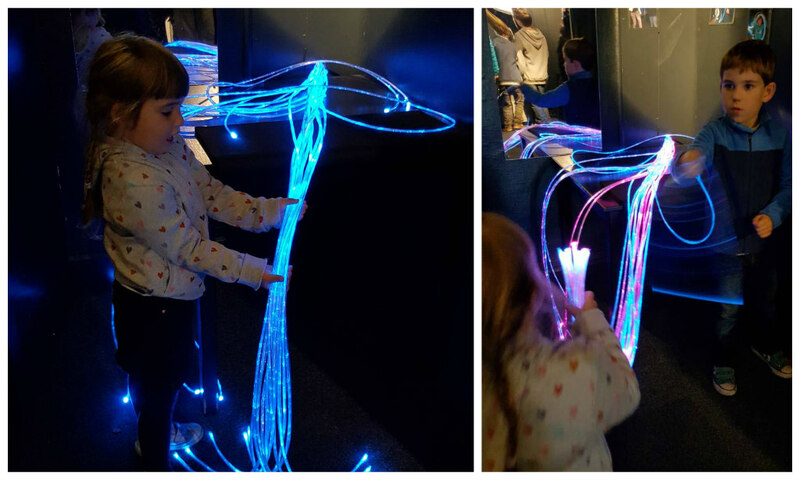 Alex’s favourite was the penguins – and he brought his cuddly penguin, Happy Feet, along to meet them! Sophie found the capuchin monkeys absolutely hilarious – she made quite an impression on this one in the picture. 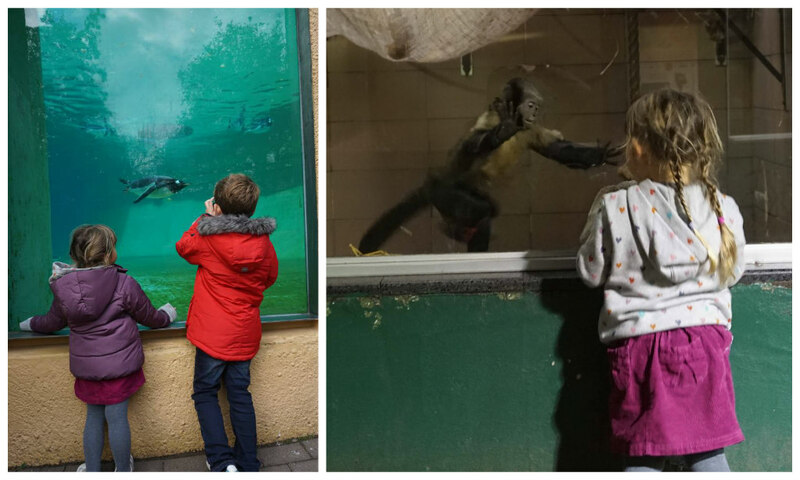 He kept coming to see her and have a look at Warm Bunny who’d joined us at the zoo – she squealed with delight every time he came close! 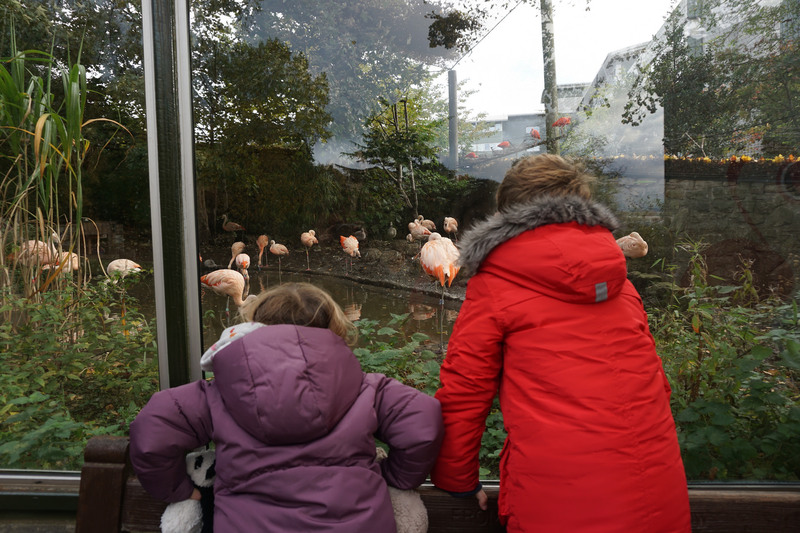 We made a couple of visits to the flamingos, Alex being fascinated with their colour when he read how they were pink because of their diet of shrimp! But our favourite thing of all was visiting the pandas! 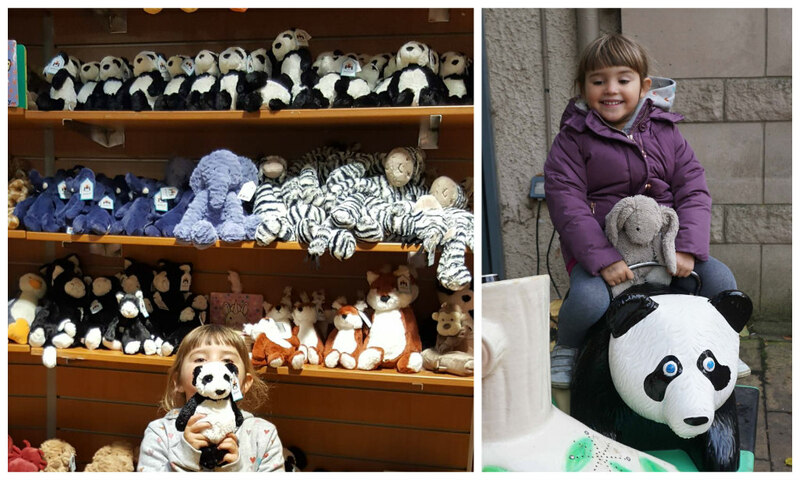 Two of Sophie’s very favourite toys are from the zoo – her pair of little pandas (she calls them both “Buddy”!). After we were lucky enough to see one of the Zoo’s pandas, Tian Tian, she was so excited to see an entire shelf of “Buddies”! 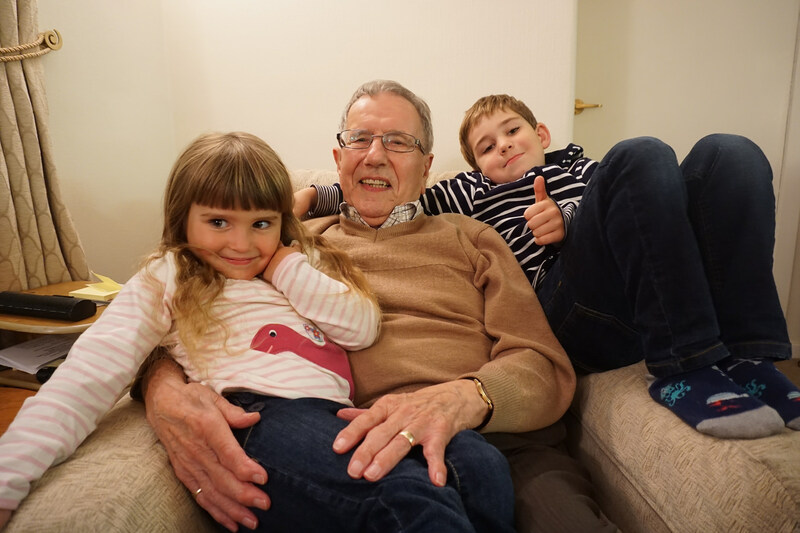 We headed out to my Grandparent’s house for a special birthday tea for Sophie where we were finally joined by Matt who’d flown up for the final couple of days of our trip – we were all pleased to see daddy! 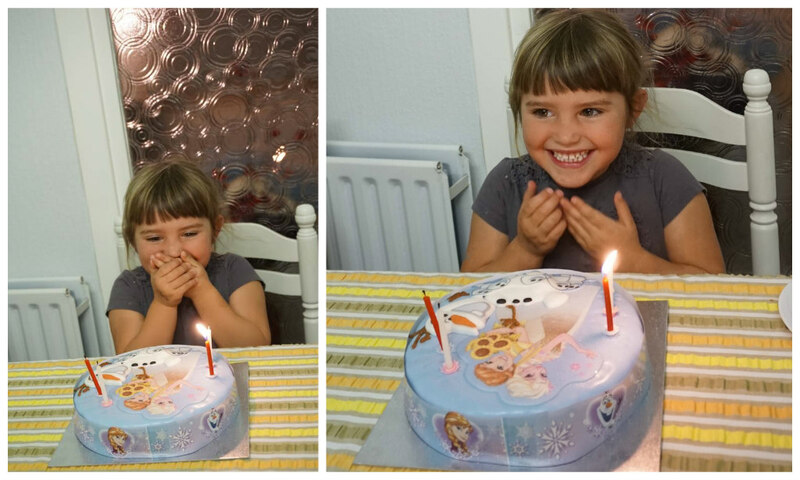 Sophie was so thrilled with the Frozen cake my family had bought for her – I love these pictures of her looking so delighted! 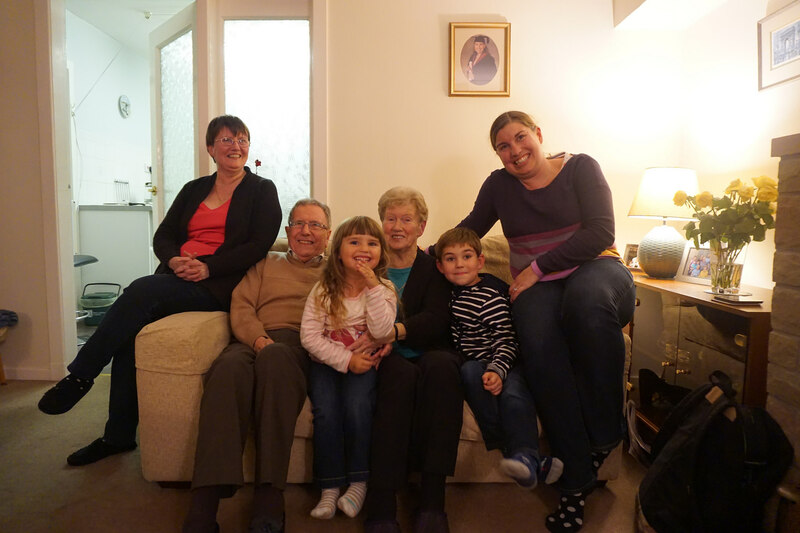 Then Matt quickly snapped a shot of all of us – four generations in one frame! 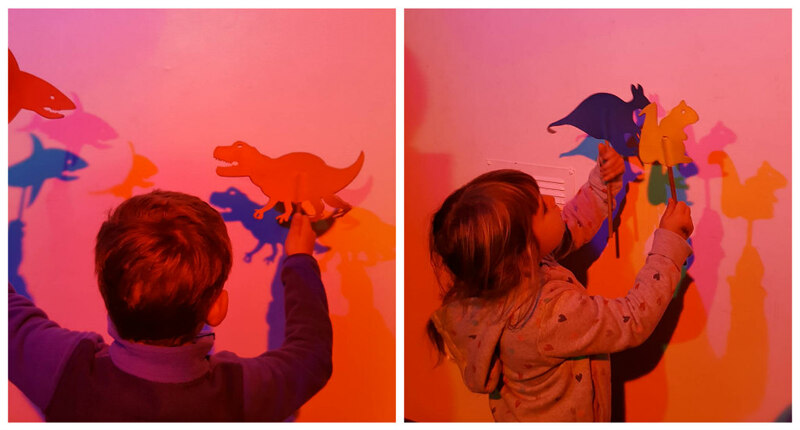 Alex, in particular, loved the interactive experiences – we saw volcanos, felt earthquakes, saw how the planet formed, touched fossils, learned about the big bang and even touched a real iceberg! Sophie and Alex thought the iceberg was the best bit – and had hysterics trying to put their cold hands up our jumpers – brrrr. 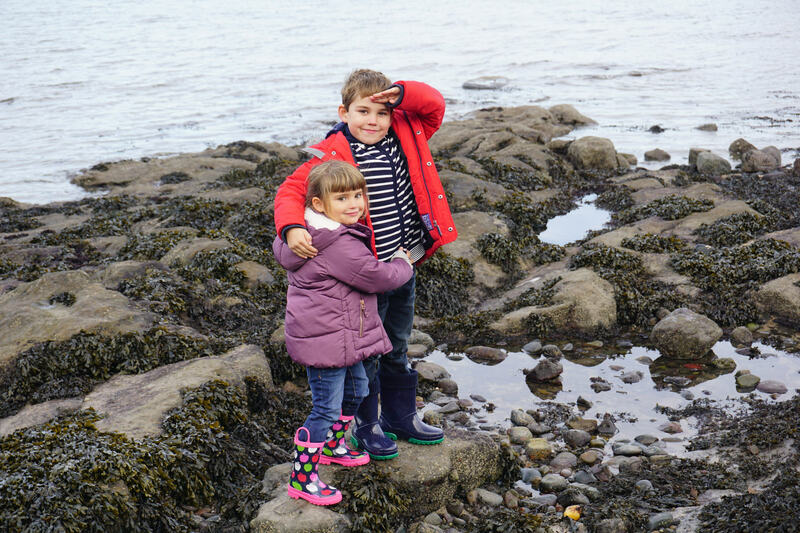 I love this picture of my siblings snuggled up on the rocks! 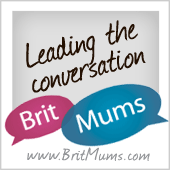 And, just in case this blog post doesn’t have enough images in it (! 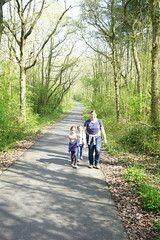 ), here are some older photos that made me chuckle looking back at them. Oh my goodness I don’t know what I like most. 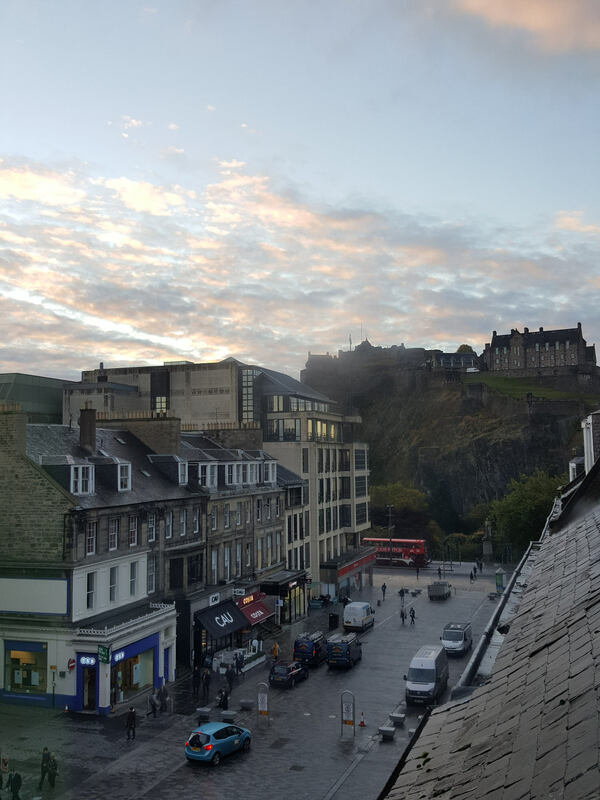 I’ve never been to Edinburgh but it has so much to offer I really should go one day. You must feel very proud doing the first leg on your own and the guest house in the centre of the city sounded perfect as a base. The illusions building looks fascinating, I do love things like this and who could miss out on a trip to the zoo, a good 4th birthday choice. 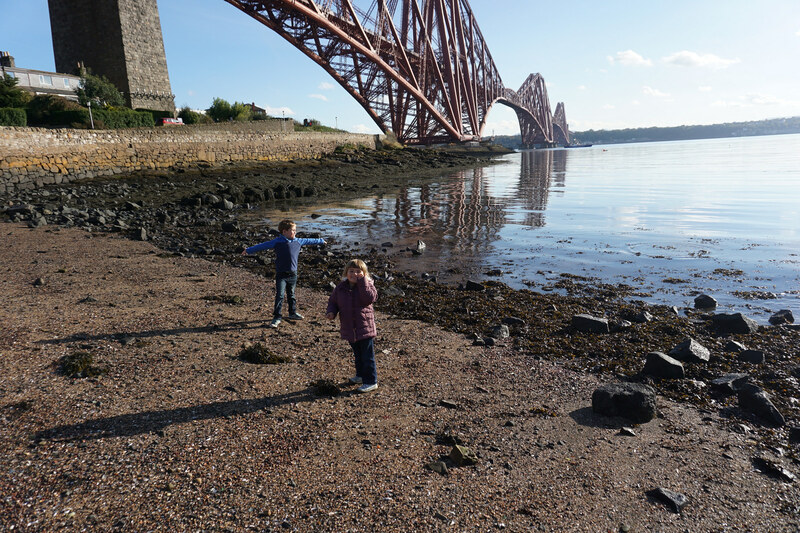 I’m glad you included the photos looking back from the beach by the forth bridges, the kids have changed so much in each photo. A great trip and one where it sounds like you really noticed the kids growing up. Thanks Fiona. 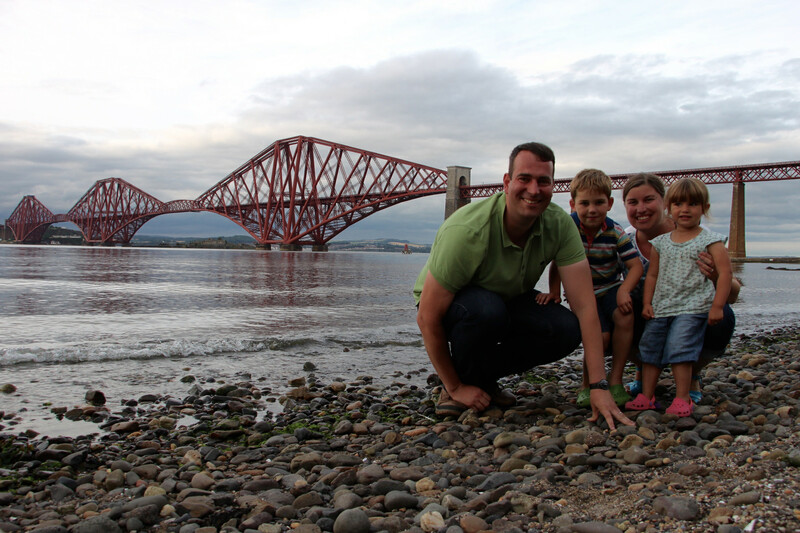 Edinburgh is a wonderful place – so much to see and learn in the city and so many beautiful outdoor places nearby. I could definitely live there. 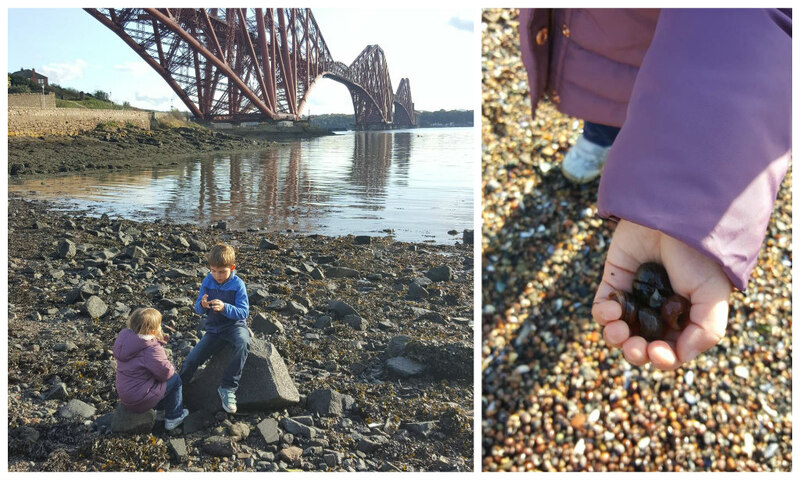 Thanks for posting – was a bit worried we weren’t quite outdoors enough for #countrykids! Fabulous photos. It looks like you had a really lovely trip and crammed in lots. 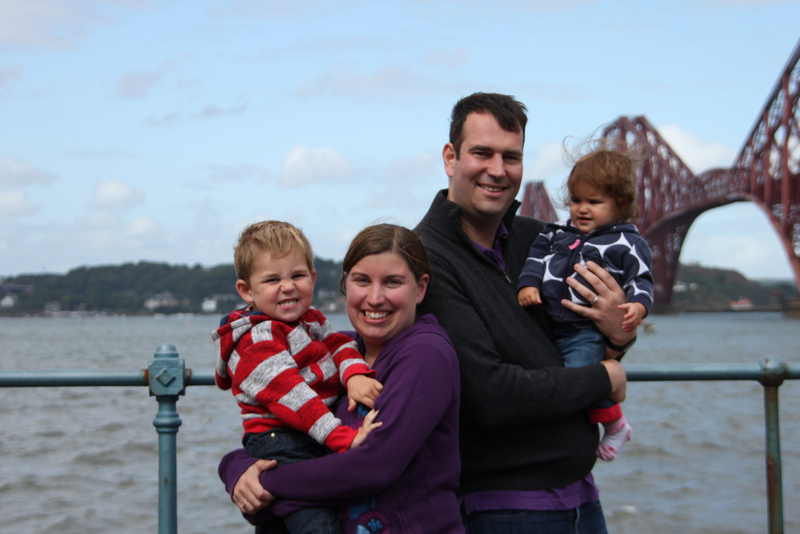 I haven’t been to Edinburgh in about 20 years, long before children, but I must plan a trip with them.